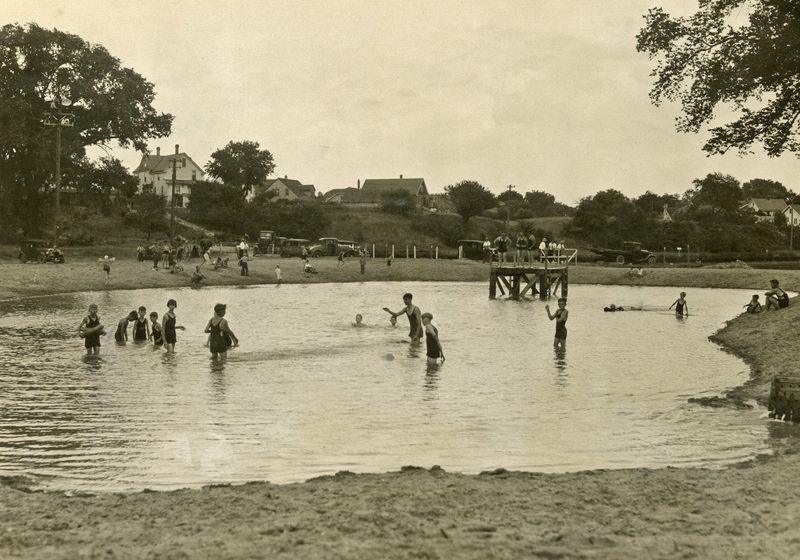 Blackridge, the old swimming hole in Wauwatosa, before the construction of Hoyt Park pool nearby. This is the area that Buddy Schumacher was headed to when he was abducted in 1925. It looks like this area is close to where the Menomonee River Parkway is now, and those stairs on the left look an awful lot like those heading up to Kenyon Avenue now. I’m guessing we’re looking south. Special thanks to Mary Pluta of the Friends of Hoyt Park & Pool for sending this photo to me.